Spike stitches add bursts of color on this stylish and functional bag. 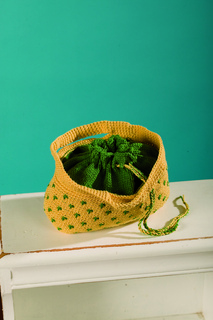 The handles support easy carrying while the drawstring top keeps contents secure. 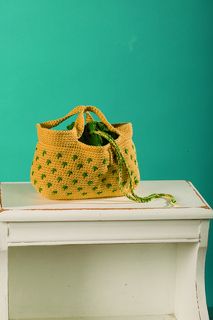 Inspired by lemon and lime - two citrus fruits, each with their own flavor - the drawstring closure section is in knitted stockinette stitch, making the bag a mix of knit and crochet – two needlearts each with their own style and flavor. 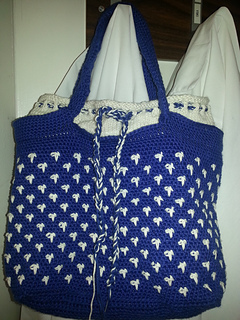 The handles are made using foundation single crochet stitches, with alternate directions for those who would prefer a traditional chain and separate single crochet rounds.